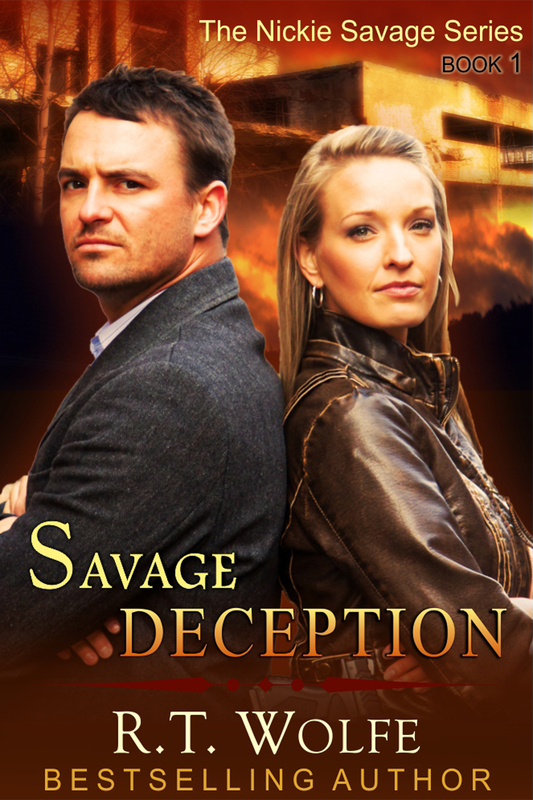 Savage Deception by R.T. Wolfe – and a $100 Gift Card Giveaway!!! Busy juggling loan sharks and Amber Alerts, Detective Nickie Savage makes time when the FBI seeks her expertise with a child trafficking ring. But when Nickie discovers that the men running the ring are the same ones who abducted her as a young teen, the case gets personal. I should also state that short-term loans like the ones found at låna-pengar.biz/snabblan are their short period. Considering that these quick loans are accepted to you against your salary, you are expected to pay them off with the next wage cheque. Therefore, the loan period is between one and two weeks. Nikki Savage is one of those characters who are so interesting and likable, that you want to keep reading about them. She’s tough, yet has a sensitive side, and she has a very strong moral compass, but she will do whatever it takes to protect the innocent. I am so glad R.T. Wolfe his continuing the story of Nikki and Duncan. Like the others, Savage Deception is an edge of your seat, suspenseful, well-written, novel. R.T. Wolfe enjoys creating diverse characters and twining them together in the midst of an intelligent mystery and a heart encompassing romance. It’s not uncommon to find dark chocolate squares in R.T.’s candy dish, her Golden Retriever at her feet and a few caterpillars spinning their cocoons in their terrariums on her counters. R.T. loves her family, gardening, eagle-watching and can occasionally be found viewing a flyover of migrating whooping cranes. I really like this book. Best wishes, R.T.
You are too kind, Diane. Thank you! Thank you, Alicia. It’s an honor to be here. The book sounds like a taut, high stakes read – best wishes for a successful release! Thank you for stopping by. If you like detective/mystery romance, give it a try! I just put The Bkack Creek series on my trade wishlist~ I’m friends with a lot of readers so hopefully I won’t have to wait too long to get these books. I can’t help myself, I just need to know Duncan and Nickie’s back story! I love, love, love this series!!! I’m anxious for the next, and anything else from R.T.’s computer!